It is a joke you have all made, or at least thought about. It is the most original joke in the history of supermarkets. But now it seems as though the joke has turned cold as Iceland (the country) is starting legal proceedings against Iceland (the frozen food pioneer). 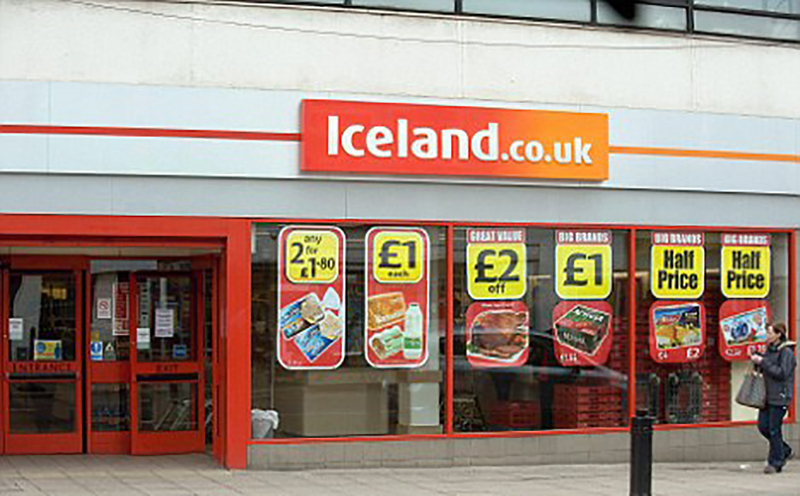 "A Europe-wide trademark registration for the word mark 'ICELAND’ is held by Iceland Foods, a UK company. "The Icelandic Government’s legal challenge at the European Union Intellectual Property Office (EU-IPO) seeks to invalidate this exclusive registration on the basis that the term ‘ICELAND’ is exceptionally broad and ambiguous in definition, often rendering the country’s firms unable to describe their products as Icelandic." The country must be worried that foods being manufactured there are not able to be branded with a national identity, as the UK-based chain holds the rights to the 'Iceland Foods' mark. There were first fears back in September when reports the government were looking into the possibility of legal action came about. Back, during the European Football Championships, the store got a bit of flack for appearing to play with its name when their social media team took shots at Nando's (a Portuguese-based chain, but originating in South Africa) when Iceland (nation) drew 1-1 with Portugal. So, the store may have to change its name in the future and we will no longer have the most annoying, supermarket-based joke known to man.